New videogame development company, Zwift, are set to release a beta version of a new online multiplayer cycling game that looks to revolutionise indoor training. 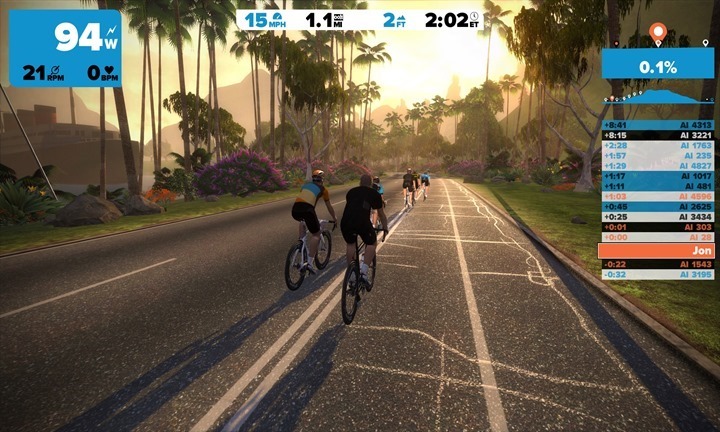 The game allows cyclists from all over the world to meet and ride together in virtual reality, possibly putting an end to tedious and lonely turbo training sessions. While virtual training software already exists, it requires a specific trainer brand, like Tacx, to run. 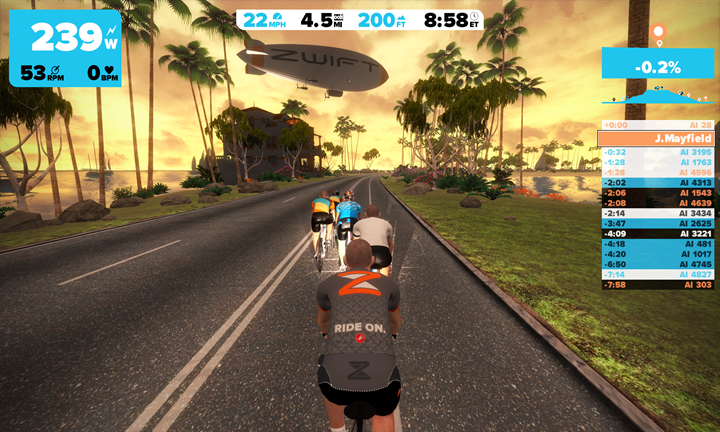 The best about Zwift’s new software is that you can use it with any type of trainer brand. All you need to do is have the application downloaded onto your computer. You’ll need an ANT+ cadence/speed sensor on your bike to connect with the application, while you’ll also need a ANT+ dongle that you can plug into your computer’s USB port to receive the signal. Many riders will already have ANT+ devices on their bikes to connect to their bike computer, but if you don’t you can generally pick these up for about £20-£50, while a dongle receiver won’t break the bank either with most available under £30. 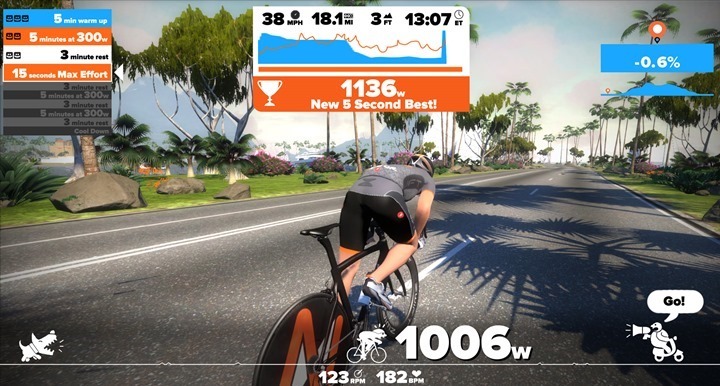 Zwift’s software can then convert the signal into power data, which is calculated by considering rider weight, the virtual terrain and even drafting into account to convert the power to speed within the game. If you’ve got a power meter or smart trainer though, you can still use those to get an even more accurate reading. It’s also possible to relay all the data to your smartphone via an app, so you can a closer and more detailed view of how your riding along with the metrics that appear on your computer screen. There’s only one location you can ride on in the beta version, named Zwift Island, but the developers are planning on creating more as the community grows. Nevertheless, the virtual environment is impressive as it gives off sound effects from your surroundings and from the other riders that pass or are around you, making it a supremely immersive training session. 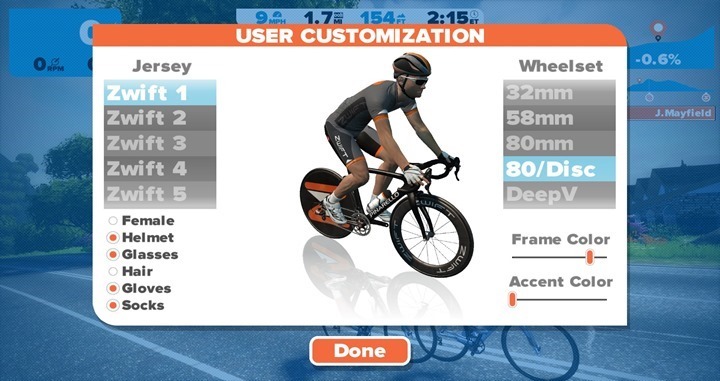 There’s also the ability for users to customise their on screen selves with a range of kit and bikes that Zwift hope to expand in the future. The range is currently fairly limites, with a choice of a Pinarellow Dogma or F8, but you can change every detail including rim depth and frame colour. You can also choose from a range of jerseys, shorts and other accessories for your counterpart. The Zwift service will start out at a cost $10 per month for user subscriptions. If you’re interested in getting involved with Zwift’s beta version, you can sign-up here to be notified about when it becomes available.